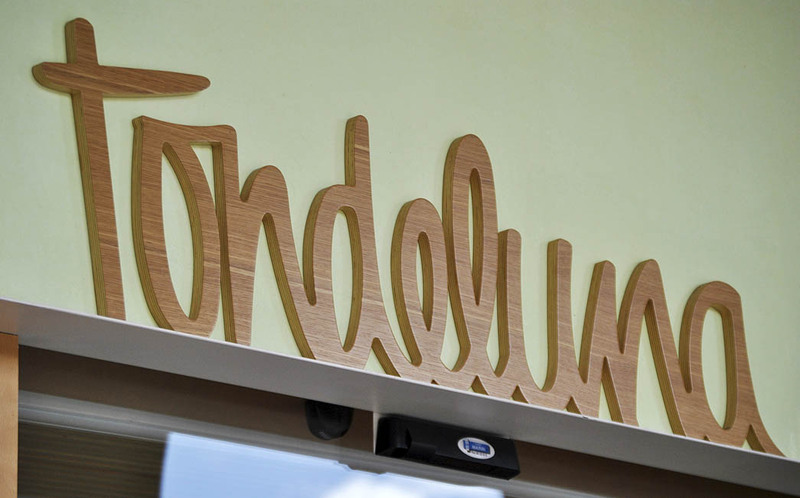 Tondeluna is the new gastronomic project of spouses Francis Paniego and Luisa Barrachina. It's named for a hamlet located in the Valle del Oja. "It's a way to honour the entire upper Oja Valley, and specifically our town, Ezcaray, and everything that comes from the culture and heritage of La Rioja towns," says Francis Paniego. "We want a 21st-century restaurant; one that's committed to our environment and our society, where we don't pay lip service to the values we stand for, but make them a reality that can be seen, touched and felt." "Tondeluna is a well-thought-out dream. That's what I've held on to practically since I started out in this profession. " The Picado de Blas architectural studio in Madrid has been instrumental in this project. 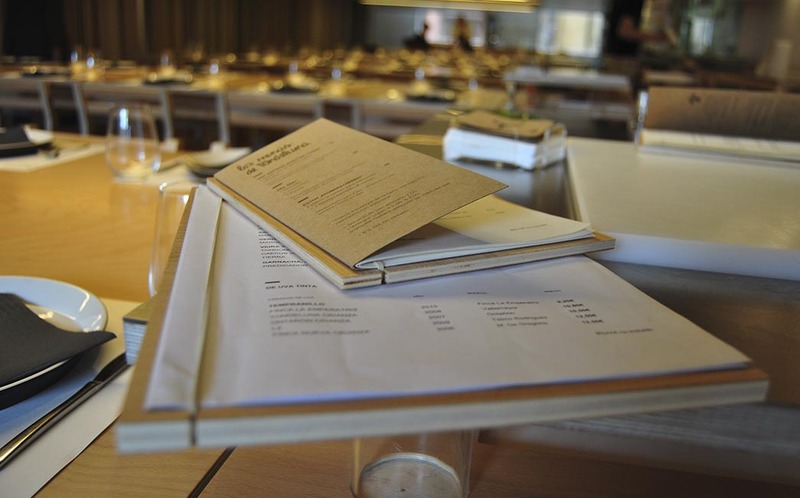 The entire restaurant has been decorated using totally sustainable laminated wood from the Rioja-based company Garnica. Garnica's new range of panels is greatly expanded, and offer "ready to assemble", pre-machined multisolution panels designed for dry installation. Dimensions include pieces up to 3100 x 1830 mm up to 50 mm thick. The range of possible decors and "ad hoc" compositions for each building project can be adapted on a case-by-case basis for both exterior and interior use (ventilated facades, partitions, interior decorating, wall panelling, doors, ceilings, floors, furniture, and so on). 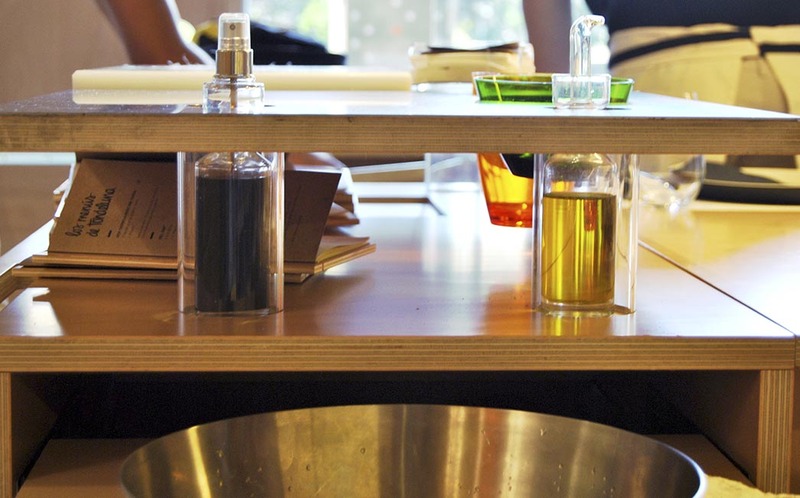 The tables, chairs, ceiling, floor, kitchen walls, forest, bathrooms: everything has been done with a focus on zero impact. 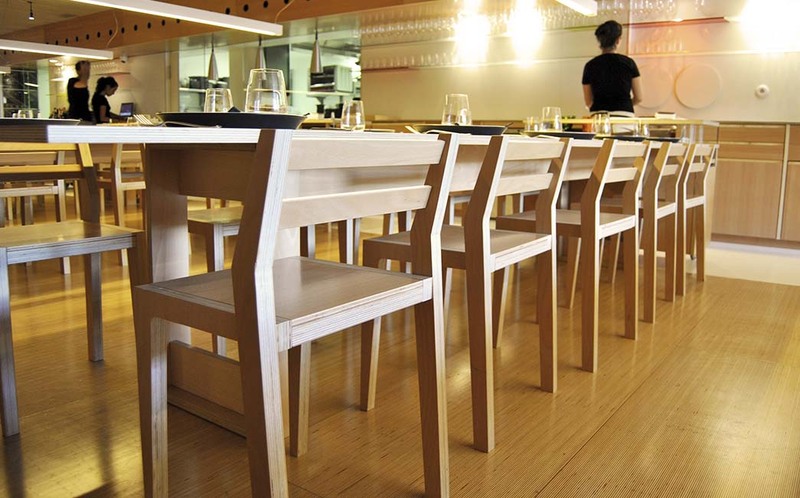 The premises has local has only six long tables, all facing a kitchen finished in immaculate, aseptic white and stainless steel. 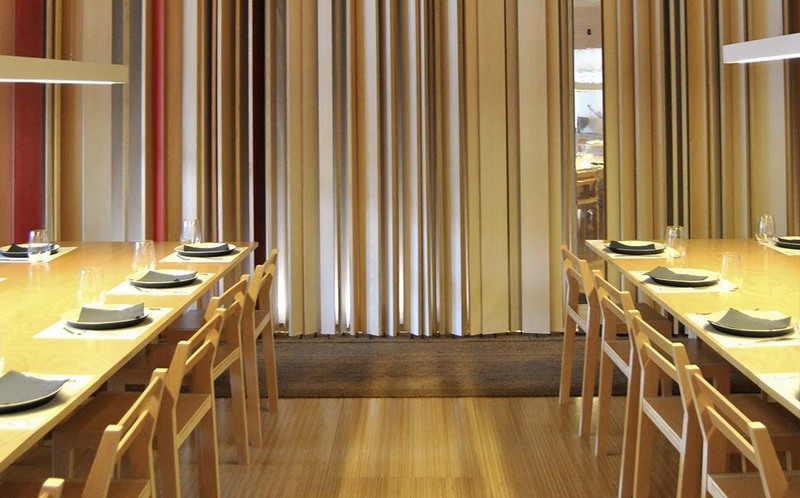 Behind the tables and facing the kitchen is an abstract drawing of a forest whose colours represent the seasons. What has prevailed from the beginning is the desire to create a link between guests and what they are going to eat while showing the entire process of creation free of gimmicks or tricks, and finished off at the side tables at the head of each dining table.